Set the tone for an exciting night out with this bold bachelorette party invitation. With a black background, gold and pink confetti add a pop of color. 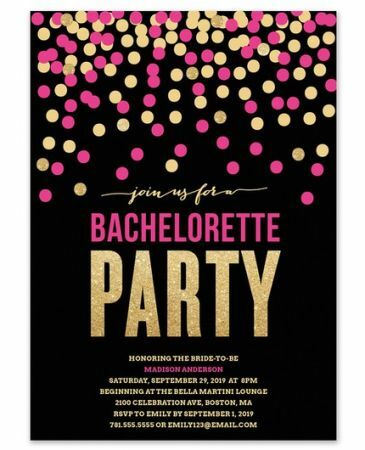 “Join us for a Bachelorette Party” is written in bold typography, while your event details are printed underneath.